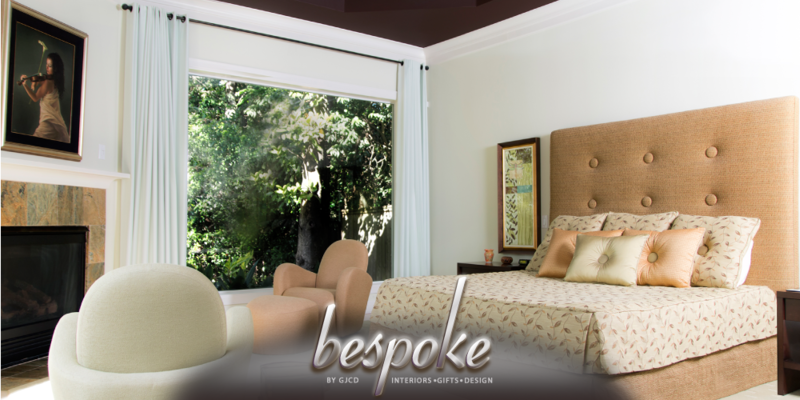 Bespoke-it© custom window treatments, drapery panels, woven shades, blinds and shutters make it easy. The mastery in great works of art, comes from the way light plays on the subject matter. Draw out the divinity in your dwelling and bathe in just the amount of light. We have extensive selections for floor treatments, rugs, and wall to wall carpet. From the ordinary to the extra-ordinary. The right floor choices should compliment the entire ensemble. 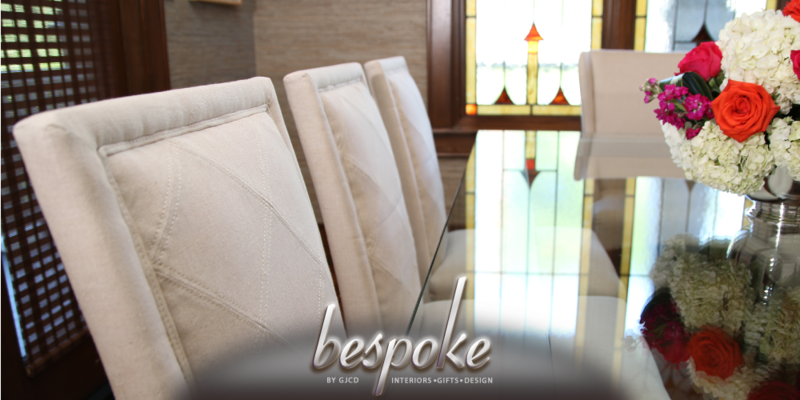 Call Bespoke-it© today for excellence. 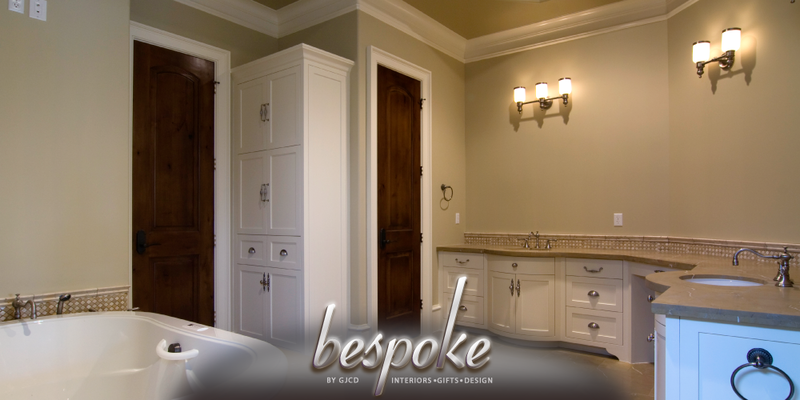 Bespoke-it© design consultation services include one hour on site, as well as a one hour design presentation in our boutique. 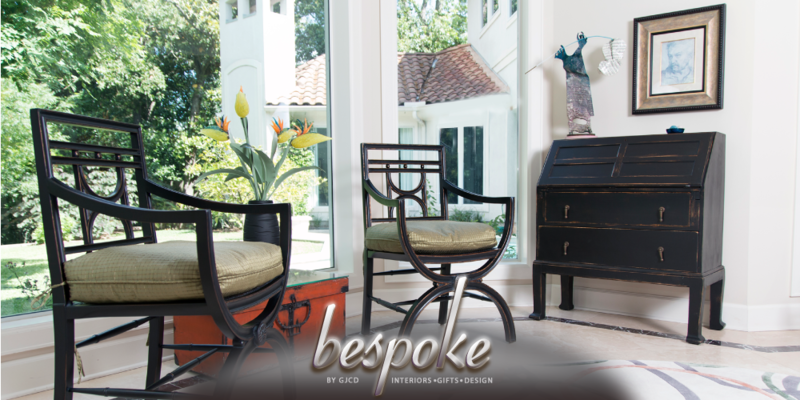 Please visit us at Bespoke by GJCD © Home Boutique to meet the team, and experience the difference. Live your masterpiece with Bespoke-it ©. Bespoke by GJCD © has an evolving collection meant to inspire you to create your own extraordinary living experience. 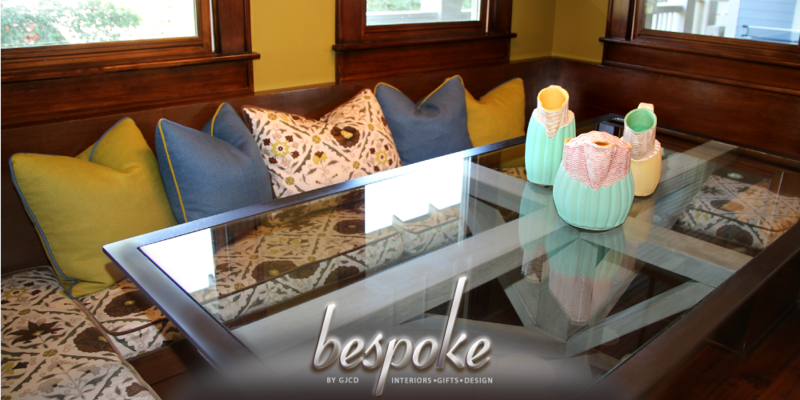 Bespoke by GJCD © is the premier home decor boutique to enjoy in the Houston Historic Heights. Hand selected home furnishings and more, Bespoke by GJCD © is the head quarters for Gilbert Joseph Custom Design and Interiors. We specialize in custom tailoring and custom furniture design for a more custom look. Our quality custom fine furniture will fit your unique space. 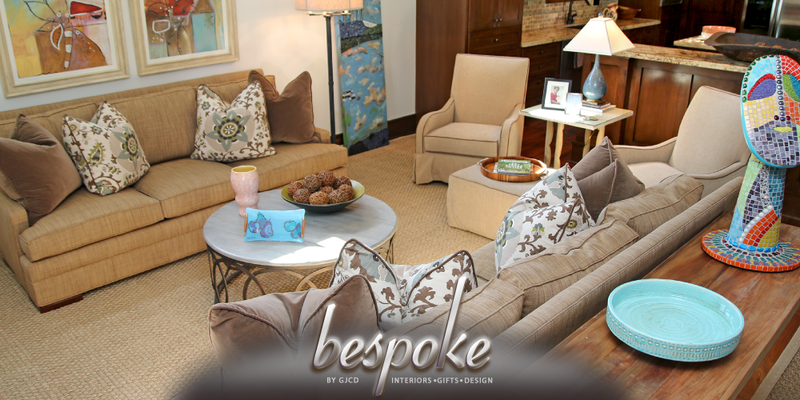 Bespoke-it © designers will help you select the material and upholstery to create the perfect piece taylor made for that beloved corner, or unique architectural area. Made to order stylish, custom pillows. Design your own pillows at our Bespoke by GJCD© Pillow Bar. 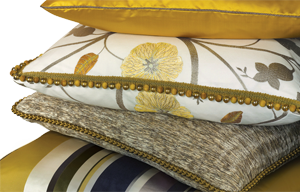 Choose from our enormous wall of designer fabrics. Create your own personal look. Ladies bring friends for pillow design parties. From simple 22×22 accent pillows, meditation rooms, wedding gifts and everything in-between. Revive your room with a new set of pillows. Pillow Talk Design-Your-Own Pillows start as little as $99 each. Compliment your bed or sofa. Come in for a tactile experience!